Show your love for you favorite furry friend! This beautifully-crafted, eye-catching metal pooch wraps around your finger. Great gift for Yorkie lovers. Original, unique and bold, this ring is a great way to show off your favorite pooch. beautiful RING, you just got was To To my SISTER and gift, very contentas stick free shipping. 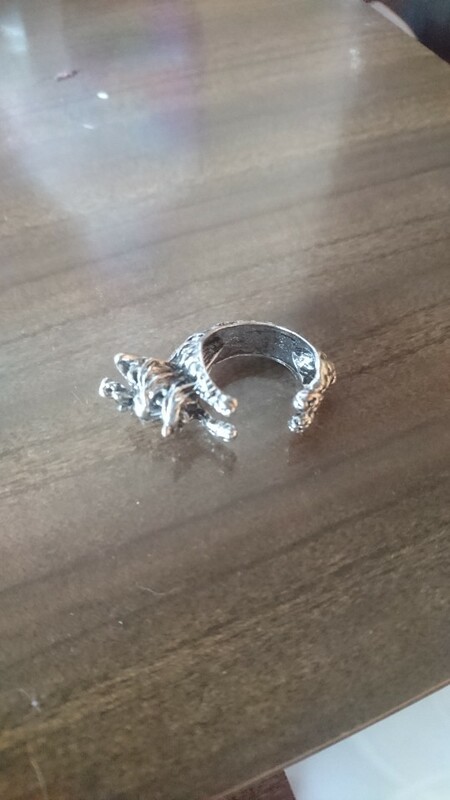 beautiful RING, you just got was To To my SISTER and gift, very contentas stick free shipping. material, free size and shape Is perfect the package was sent. i'm pretty satisfied the Purchase, seller recommend.